Right now, whole communities on the Iron Range are at the mercy of the international iron and steel market. None of those communities can ever rest secure, because at any time a swing in the price of iron can throw hundreds out of work and wreck life for thousands more. Leah is very familiar with the scenario - her family has worked in the mining industry for four generations, experiencing the layoffs and mine closures that are consistent with the cyclical nature of the mining industry. 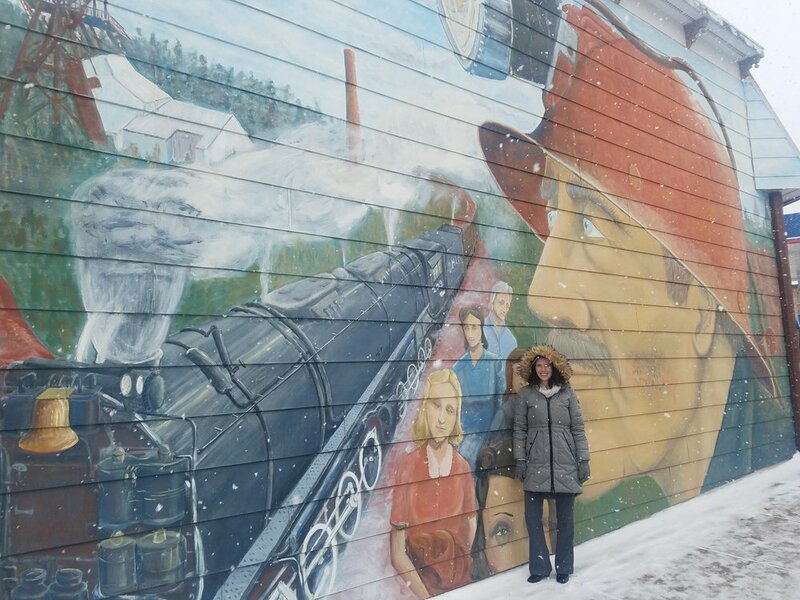 She is committed to introducing fresh ideas to help make life on the Iron Range less of a roller coaster for miners and those who depend on them. Leah's grandfather David DeLeo on one of his last blasts in Babbitt. David retired as president of EVTAC mining in 1999 after 40 years in the industry. For many commodities, the United States has established either subsidy or stockpile programs to stabilize prices and guarantee supply. Agricultural subsidies help protect farmers from the vicissitudes of the market. The Strategic Petroleum Reserve has historically been used when natural disasters (like Hurricane Katrina) or international incidents (like the Arab Spring) disrupt oil supplies. Along these lines, Leah proposes the creation of a national Strategic Metals Reserve to serve a similar set of functions for the iron industry. The government would become the buyer of last resort for iron mined on the Iron Range. When the price dropped below a certain price (as determined by the appropriate experts), the government would purchase the iron ore. The iron ore would be stored in facilities built and maintained in Northeastern Minnesota, overseen by the appropriate government agency, such as the Department of the Interior. When certain conditions are met, like an unexpected price spike or sudden demand for iron, the government would sell the stored ore.
Leah in Ely (Jan 2018). Leah's parents met and married in Ely, where Leah's mom grew up and her dad had a cabin. They moved to Duluth after Steve was laid off from Reserve Mining in 1981. In 1987, he found employment at Northshore Mining in Silver Bay, settling their family in Two Harbors. Mining employment would stabilize on the Range, as mines would no longer open and close with price swings. A Strategic Metals Reserve would place the welfare of Range communities ahead of the profits of commodities speculators. The US would be insulated from international shocks to the price of iron. A stable stockpile would also allow for production to continue even if trade conditions worsen. This element is particularly important in the case of national security threats. We need to be prepared in case international suppliers are suddenly unable or unwilling to sell to the United States. This plan could be a template for future stockpiles of other strategic commodities, making Minnesota an industry leader in the storage and distribution of strategic commodities. With a guaranteed market for iron, mining companies would have incentives to make long-term investments in keeping the mines open and miners employed. This would include improving the quality of iron product produced by the Range, especially direct-reduced iron (DRI) which can be used in the electric arc furnaces of the mini-mills which now dominate steel production in the US. In return, the Strategic Metals Reserve plan would require that all future mining projects meet the very strictest environmental requirements. If the government is going to guarantee the companies can make money from the mines, it’s only fair that we ask for those mines to be safe and environmentally sound. More permanent jobs and a clean environment: an outcome everyone in Northeast Minnesota should love.